Manufacturer or Distributor: CJ Products, Inc. HAZARD: POTENTIAL FOR INGESTION AND BATTERY-RELATED INJURIES! W.A.T.C.H. OUT! 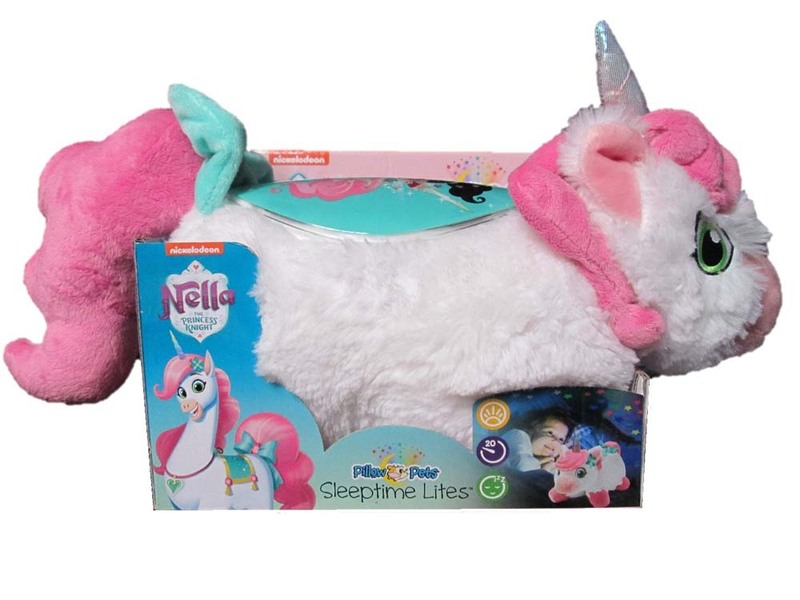 These soft, plush “Pillow Pets Sleeptime Lites” project colorful night-sky images to make “night-time fun”. Marketed for infants as a nightlight for baby’s room, remarkably the package cautions that the product is “not intended” for use in a crib. Nella is adorned with small, felt-like flower and heart-tag accessories which, if removed, present potential ingestion hazards. Additionally, the manufacturer identifies a “battery acid leakage” hazard.